This tutorial will demonstrate how to make two similar synth sounds work together in a mix, using a few simple tools. Element Synth to produce the sounds. PAZ Analyzers for visual confirmation of what we are hearing. SSL G-EQ, Center, and PS22 Stereo Maker to adjust the tone and stereo image. I have two synth sounds going, each playing a different preset sound from Element. Let's listen to what we have to begin with. Listen first to each synth on its own, then to both together. Very cool sounds – but when they come together in the mix, we lose definition. Everything just blends into one blob of sound. Let's pull up the PAZ Analyzer for a closer look at what is going on. Synth A is on the left side, Synth B on the right. As you can see, the frequency curves are very similar! The stereo position looks practically identical as well, which makes things worse. I'd like to point out that you should always make mixing decisions based on what you hear, not on what you see. Having said that, analyzers can really help confirm and pinpoint what you are hearing, especially if the monitoring conditions are not ideal. Before you do any processing, you should stop for a moment and think about what you want to achieve. What is the purpose of each sound in the mix? In this case, I want to make synth A the main bass. Synth B will serve as a hook that needs to stand out. At the same time, I don't want to change the original character of the sounds too much, because I like them as they are. So I want to go in subtle. With these things in mind, we can make a plan and begin sculpting. Use SSL G-EQ to make both sounds serve their individual purposes in the frequency domain. Use Center to focus Synth A to the middle of the stereo image. Use PS22 to make Synth B wider and wrap it around Synth A. On the LMF band I'm doing a little boost with narrow Q around 800 Hz. I thought this area had a nice defining character which I wanted to intensify. On the HMF band I've created a dip using the broadest Q setting, centered at around 2 kHz. This is an important area for our hook (Synth B). By cutting here, I am creating some breathing space for the hook. I'm not taking out much – just enough to hear a difference. Later on I am also going to do a small boost on Synth B at the exact same area. I've also added a little bit of high end using the HF band. This is because the sound we are working with here happens to have really nice-sounding highs, and I want to use that "bite" to give character and definition to it. 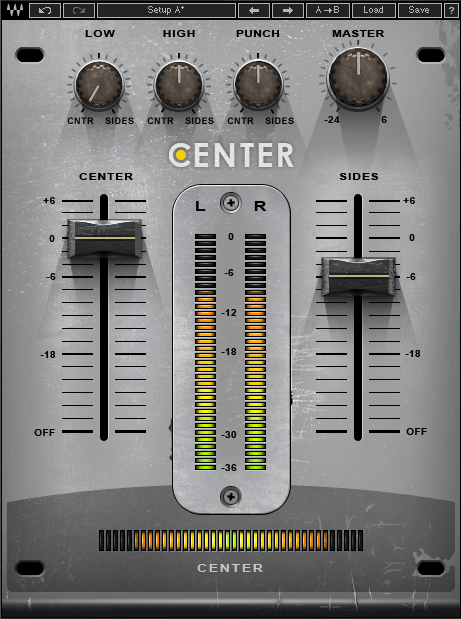 The second plugin we have in the chain for Synth A is the Center. With Center, I've lowered the volume of the entire side signal to about -6 dB. This gently focuses the entire stereo image towards the middle. I've also turned the "Low" knob all the way to the left. This puts all low frequencies dead center. 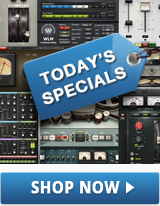 Let's listen to what we have after adding the SSL G-EQ and Center. An audio sample of the starting point is included again for reference. Not a huge difference, right? We don’t need to make big changes. It's possible to achieve what we want while being subtle and preserving most of the original character of the sounds. Let's move on to Synth B. First up in the chain we again have the SSL G-EQ. Let's go through the settings. Synth B is supposed to function as a hook rather than a bass, so I’ve dialed in the High Pass filter at around 115 Hz to get rid of excess low end. I want to allow the nice bass on Synth A to occupy the lowest end, with nothing getting in the way. I've created a wide Q boost of about 3 dB at 2 kHz on the HMF band. First, I've done this to bring out the desired qualities of the hook. Second, 2 kHz is also the exact same frequency that I am cutting on Synth A. By means of a small cut on Synth A and a little boost on Synth B in the same place, we are subtly creating space for the hook to shine without overly changing the original character of the sounds. That's it for the EQ. 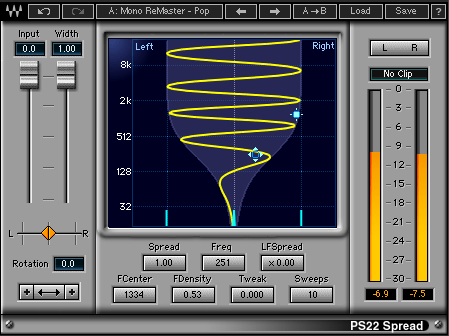 The second plugin in the chain for Synth B is the PS22. PS22 is a pseudo-stereo plugin that can be used to create stereo results from a mono source, or, as in this case, to enhance the stereo image of a stereo source. I've decided to go with the "Mono ReMaster – Pop" preset, simply because it does exactly what I wanted to achieve in this case. It creates a nice spacious stereo effect, clearing some room in the middle (where we have Synth A). What's also nice about this effect is that it’s mono-compatible. Here's what we have on Synth B after adding the SSL G-EQ and the PS22. An audio sample of the starting point is once again included for reference. Now let's listen to both sounds together. Listen to the subtle changes in tone and the changes in the stereo image. Use headphones if you have trouble hearing the stereo image properly. Note that I haven't touched the volume or gain at any point. The perceived difference comes from subtle EQ and stereo imaging. Synth A has taken its place as the bass line and serves as an anchor in the middle. Synth B comes through better, sounds more uplifting, and doesn’t clog up the low end. The main lesson I would like you to take away from this tutorial is that you don't always have to take extreme measures in order to create space and separation in the mix. With good planning, small changes here and there go a long way when everything finally comes together.